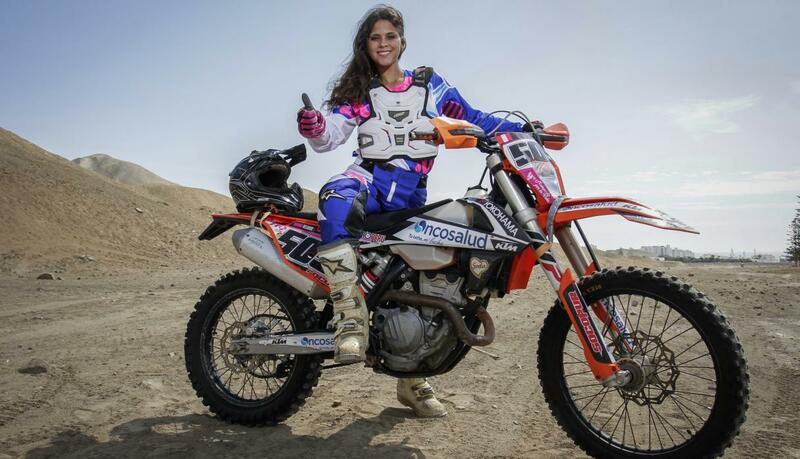 The two wheels’ world is filled with touching stories, and this is one of those stories: Gianna Velarde is set to become the first Peruvian female rider to tackle the Dakar Rally, and she will do it after beating cancer! Gianna stepped on a motorcycle at 15 years of age, as a way to feel in equal terms with male riders, since when she puts on the helmet, no one is able to say that she’s a woman. It was on two wheels that Gianna Velarde found the strength to beat cancer of the lymph nodes. She had to go through an intense treatment with no less than 16 sessions of chemotherapy and another 32 radiation treatments. Now, having passed the worst period in her life, this Peruvian of 24 years of age, will face another huge challenge. She recognizes that “motorcycling it’s a way of life for me”, and by entering the Dakar, she wants other women to see that it’s possible to face their biggest fears if they put the effort into it. 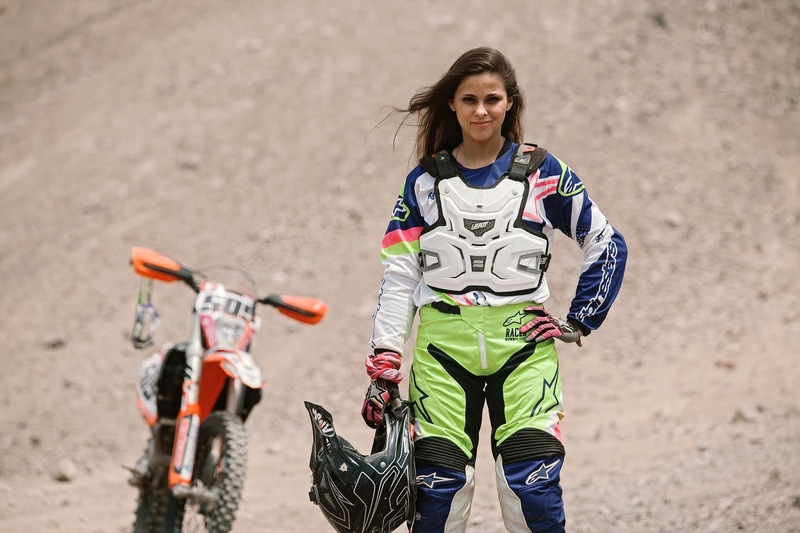 There’s no guarantee that Gianna Velarde will be able to complete the grueling challenge that motorcycle riders face on the Dakar Rally. But she promises to keep her passion for motorcycles alive, and to share that passion with children that suffer with cancer, as a way to help them fight their health problems. Way to go. Good luck in the rally and hope you have a great life. Stay strong.